I love this thick and rich dessert called "flan patissier", which basically is a milk pudding on a dough. It's been years I haven't eaten any, and recently I've been thinking about making some. 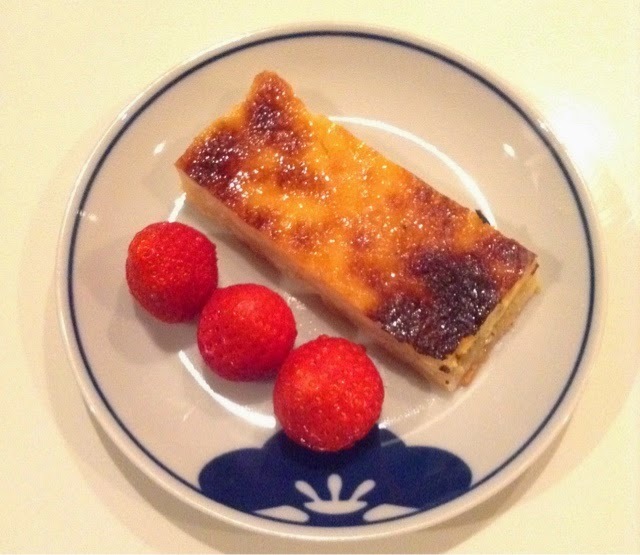 Chance was on my side with a special issue of "cuisine actuelle" on homemade cooking, and a lot of classical French recipes, and the one of the flan patissier!!! It is really easy to make and a delicious dessert or a perfect breakfast served with fruits. The dough is a "pate brisee", so just flour, butter and water. The pudding part is vanila flavoured milk, eggs and sugar like for a regular pudding. And it is baked 45min in an oven at 180.